The United States said in a statement on Sept. 25 that it supports Fener Greek OrthodoxPatriarch Dimitri Bartholomew’s stance on granting independence to the Ukrainian Church. “The United States respects the ability of Ukraine’s Orthodox religious leaders and followers to pursue autocephaly according to their beliefs. 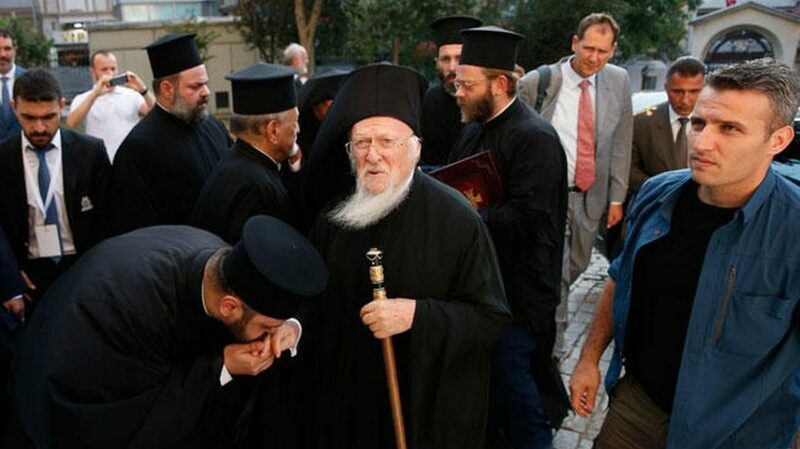 We respect the Ecumenical Patriarch [Dimitri Bartholomew] as a voice of religious tolerance and interfaith dialogue,” she added. Bartholomew said on Sept. 23 that he declared the Ukrainian Church would receive autocephaly shortly because that is what is right. He made the comments while presiding over the Divine Liturgy at the Church of St. Fokas in Istanbul, in the presence of the Consul General of Ukraine. “The Church of the Czech Lands and Slovakia is the newest of the Autocephalous Churches to be proclaimed by the Ecumenical Patriarchate in 1998. It is now the turn of Ukraine, which will receive the status of autocephaly in the not too distant future despite existing reactions. And this will occur because it is right,” the Ecumenical Patriarch said speaking to a congregation that included a Czech theologian. “We are not intimidated by threats. As we recently stated, the Ecumenical Patriarchateneither threatens nor is threatened, but instead advances steadily, fulfilling its sacred mission as stipulated by the sacred canons and respecting the privileges granted by the canons of the Ecumenical Councils. We cannot ignore these canons and privileges granted by the Ecumenical Councils to the First-Throne Church of Constantinople. We respect and preserve them, and we shall implement them in the case of Ukraine and wherever else necessary,” he added.